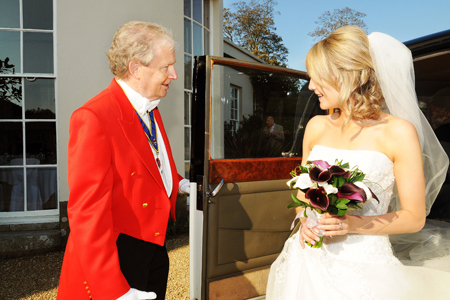 Paul lives in Hampshire, England, UK and has been involved with many types of functions for around 35 years. Paul cares passionately for his clients and understands that you would want your day to go smoothly and to be stress free. 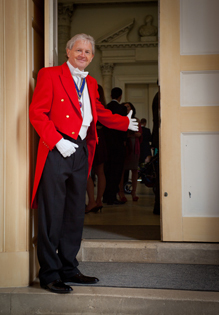 As your toastmaster or master of ceremonies Paul will help you to make your day a truly memorable one by using his charm, expertise, experience and professionalism. 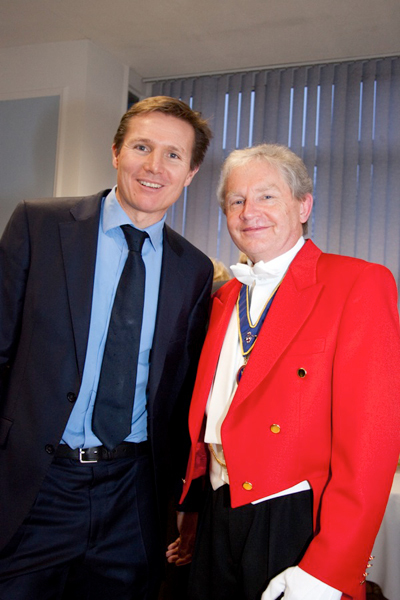 Being a member of the English Toastmasters Association means that Paul has been trained to the highest standards of client care and you will feel very safe and secure in Paul’s hands. "We're just at the airport about to jet off, but just wanted to say a huge thank you for all your help with the big day. Everyone had an amazing time and you took a huge weight off our minds, so thank you......"
"Paul, you have done a wonderful job - thank you for helping the day come together so nicely. One of my friends even called you " a legend "! Chloe & Dan - Brentwood Essex 2011.
" Its lovely to know there is someone to support you on the wedding day - it really took the pressure off us and allowed us to enjoy our daughter's wedding day ! You took the time to visit us beforehand to ensure you got all the little details we required, exactly right ! Thank you Paul. "Where do we begin ? - Without you Paul, I don't know what wewould have done. You did such a good job on our daughter's wedding day - I just cannot put it into words, only ' thank you Paul' If ever we need a toastmaster again, it will be you!" "I would like to thank you on behalf of Jenny & Jonathan and also my wife & myself, ever so much for everything you did at Jenny & Jonathan's wedding reception at Newick Park Hotel last Saturday. Your assistance to our photographer was greatly appreciated and with your unstinting help everything went so very smoothly, you contributed enormously to making it such a successful & wonderful day for Jenny & Jonathan." "Thank you very much for all your help on our wedding day. Your professional organisational skills were the most important ingredient to ensure the day went smoothly according to plan & on time.Your touch added structure and order to the occasion and we were rewarded with profuse praise from many of our guests..... saying it was the best organised wedding they have ever attended. We smile, knowing that Paul Watling was our 'secret weapon' to ensure great success on our special day!" "Dear Paul, thank you so much for all the help you gave on the big day, you were brilliant and certainly took the pressure off!" ROBIN & REBECCA - Chartwell (National Trust),Kent. "May we take the opportunity to thank you for everything on the day. For brides & grooms in the future, you can rest assured we will be recommending your services. I felt as though you lifted the weight of the day from my shoulders and many of our guests passed comment on how we seemed to glide through the day without an ounce of worry. My response - speak to the poor toastmaster !!!" Thank you very much for attending the opening ceremony of the Leek-Bailey Building and for acting as Master of Ceremonies throughout the afternoon. Your excellent guidance helped the programme to run smoothly and on time, and I have received a number of positive comments as a result"